James Hinchcliffe has a new home in the Verizon IndyCar Series. The three-time Verizon IndyCar Series race winner has signed a multi-year contract with Schmidt Peterson Motorsports to drive the team’s No. 77 entry, beginning with the 2015 race season. 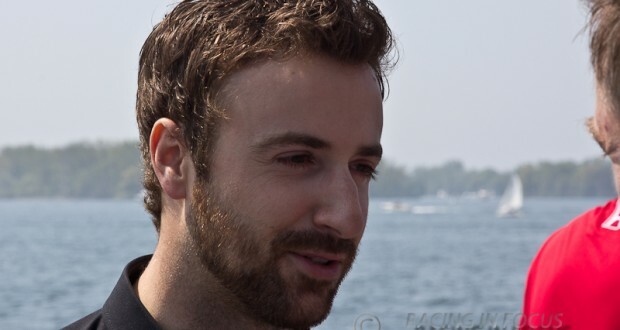 Hinchcliffe, 27, will join Schmidt Peterson Motorsports immediately for offseason testing. He replaces Simon Pagenaud, who announced he would be moving to Team Penske last month. 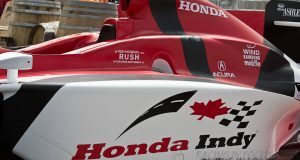 It will be Hinchcliffe’s second stint at SPM, which has finished fifth or better in the series championship for the past three years with Pagenaud. In 2009, Hinchcliffe drove for SPM in Indy Lights, finishing fifth in the championship. 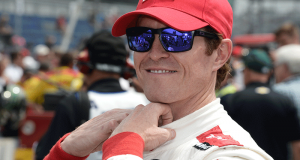 He entered the Verizon IndyCar Series in 2011, earning Rookie of the Year honors. Hinchcliffe finished eighth in points in 2012 and 2013, and his three wins came in 2013 on street courses at St. Petersburg and Sao Paulo, Brazil, as well as on the short oval at Iowa Speedway. “James had great success in Indy Lights and other series on his way to IndyCar,” team co-owner Sam Schmidt said. “In fact, he would already be with us driving the No. 77 if he would have been available three years ago. We went after him in 2011, but it didn’t work out then. SPM has laid out clear goals for its future in the Verizon IndyCar Series, with Hinchcliffe at the center of execution, according to team co-owner Ric Peterson.